Posted on July 13, 2006 by Alicia Bay Laurel	in Blog. 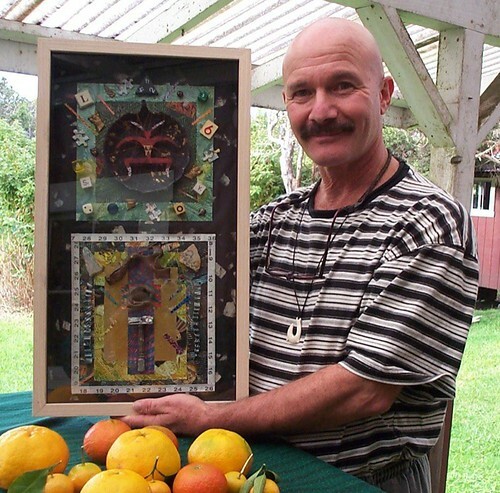 Ira Ono holds one of his shadow box collages. I met Ira Ono when I first moved to Maui in 1974. We were all Maui Family in those days, but I soon discovered that Ira and I both had paternal grandfathers with the same last name, who came to New York City from the same area around Kiev before the turn of the century. So, we determined, we are cousins. Ever graceful, gracious, grateful, Ira never loses his cool. And he is absolutely the first guy I EVER knew who shaved his whole head on purpose. Some artists have a single running signature through their art, but Ira has many. One is the long faced, decorated mask that he produces in raku-ware ceramic. Another is is Japanese paste paper, made from dollops of blended acrylic paint and wallpaper paste mushed around on paper and textured with combs made from discarded credit cards. Strips of this become backgrounds for his collages and elements in his array of gift items, including blank journals. An elegant “feng shui compliant” collage. 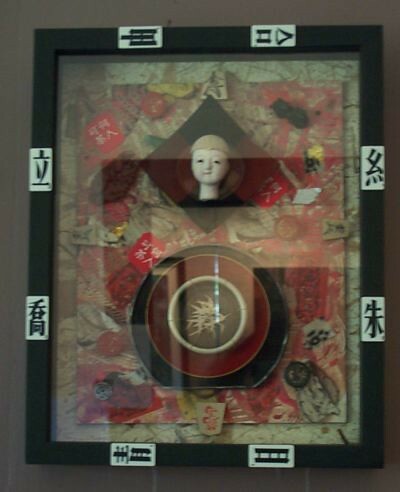 Ira collects little things he calls “goo-gahs,” parts from board games, small toys, pieces of machines, spiritual icons, measuring tape ribbon, cookie fortunes, postage stamps, all of which become elements in his mysterious large shadow box collages. Ira uses gold and silver powder to stencil designs on his painted wooden gift items (dream boxes, rainbow man christmas decorations, dragonfly magnets, for example). And Ira is a master at displaying his work in stores, and in his own semi-open air gallery in Volcano, employing fabrics and props with panache. A professional dancer since his teens, Ira’s got all the moves, and, at 61, he photographs exquisitely. 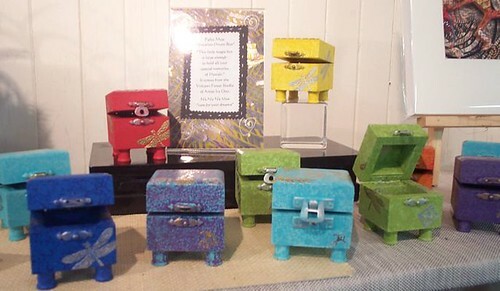 Dream boxes stencilled with gold and silver powders. 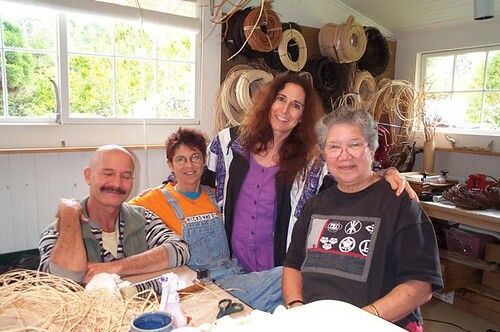 Ira is legendary in Hawaii not only for his art but for his scintillating public personna. At the first Feast or Famine all Maui juried art show at Hui Noeau Arts Center, Ira danced into the opening night festivities on a rope, wearing nothing but Speedos, catsup, mustard and chocolate sauce. 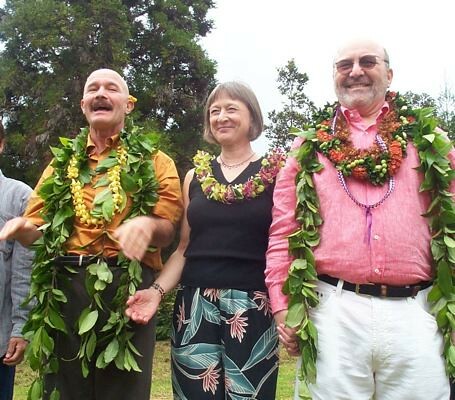 Bedecked in flower leis, Ira and his twin brother Billy celebrate their 60th birthday with sixty friends. Between them is Billy’s wife Andrea. 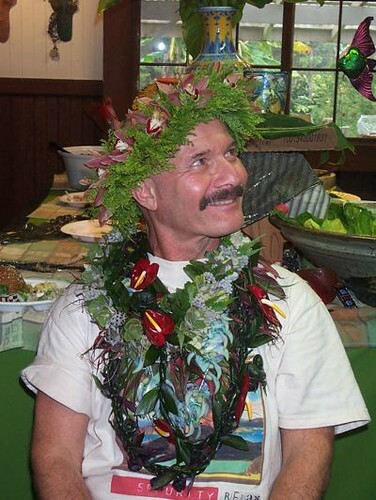 Yearly on Maui, Oahu and Hawaii islands, Ira juries his invention, the Trash Art Show, which touts the virtues of recycling and invention, while entertaining hilariously with a trash art fashion show on opening night. He’s still got one of the winning pieces in the kitchen of the studio – a naked man doll made entirely from bottle caps. 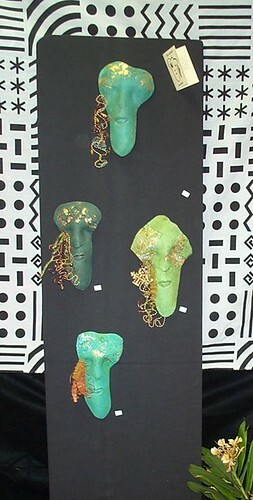 Decorated masks displayed with eyecatching fabric in the Ono style. So, do you think Laura Bush would have any of Ira’s art? She does. Ira’s bird tree ornament (feathered with color copies of antique Hawaiian postage stamps) was selected to decorate the White House Christmas tree in 2003. Ira opened Volcano Garden Arts, his studio/gallery in Volcano Village on the Big Island in a historic estate, and you must visit it when you drive up to Hawaii Volcanoes National Park. 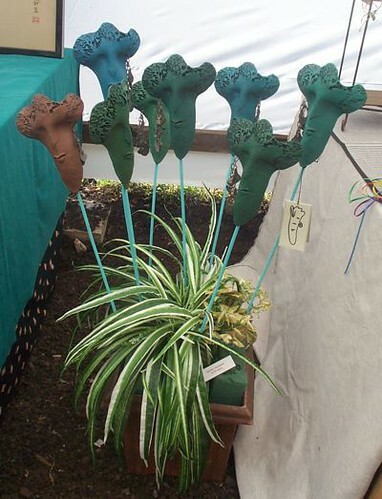 You never can tell what might be going on at Volcano Garden Arts. 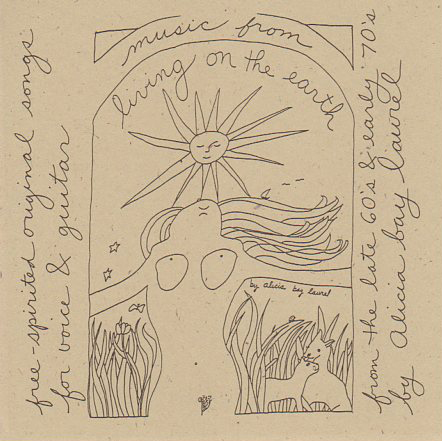 He hosted a couple of my music and storytelling shows there, and I gifted him on his 60th birthday with two hours of guitar music for his grand and memorable fete. Ira’s a vegetarian, so, for Thanksgiving one year, he rescued a male and female turkey, and gave them the run of his lot. He complained that they were copulating constantly.